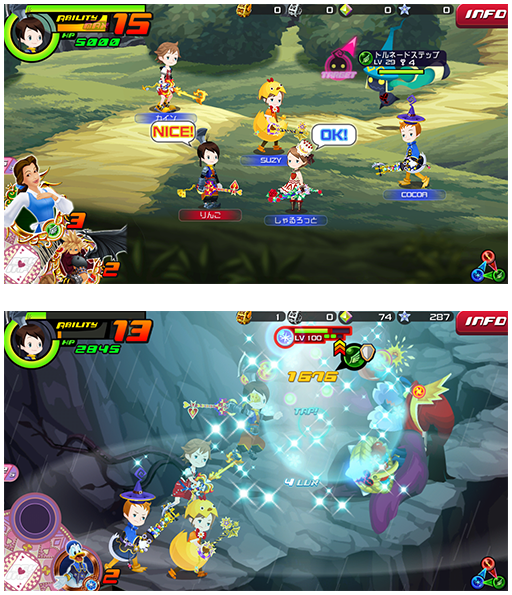 Kingdom Hearts Unchained X will be celebrating the 1st anniversary of its Japanese release on September 3rd. In honor of that, Director Tetsuya Nomura has a special message to the players to let us know what we can look forward to in future updates. Still only one year has passed, but I think it has been another packed one. In this one year we have caught up to the world of the forerunner KINGDOM HEARTSχ, which also reaches its end along with this milestone. However, we have prepared two new large developments for the future of the world of KINGDOM HEARTS Unchainedχ. One of these is multiplayer, in which you can enjoy battling heartless and running around the field with your party members using the exact same comfortable controls as always. Being able to adventure with your friends easily on your smartphone is a matter that had been on my mind about for several years now. Needless to say, the fact that the development staff proposed this plan so early without me even saying anything about it had me whispering "we are connected" in my heart. The other is a big development regarding the story. The start of season two is still some way off, but the events leading up to it will begin as main story. And, to go with that work on three new worlds has already begun. The third will be a new world starting from season two, and it will be a new Disney world that has not appeared in the KH series so far. Moving away from KHUχ for a little, there was the 'Ventus' I drew for the KHχ 3rd anniversary card, and the 'Maleficent' that appeared in the KHχ Special Episode who left some deeply meaningful words. I hope these all clued you into the new developments that will be starting soon. I plan to make the most of this comment space in the future, too, and by all means enjoy KINGDOM HEARTS Unchainedχ. Future KINGDOM HEARTS Unchained χ Update Plans! New story, and even new worlds will be released in turn. Here we introduce a section of the map of a new world. *Note: Image appears to depict Cinderella's chateau, in the Castle of Dreams. Quests involving adventuring with multiple party members currently under development. You will be able to complete the quests by playing and communicating with party members. Here we introduce an in-development screenshot of moving while using in-person messages. - And, we will celebrate the one year anniversary all September long! KINGDOM HEARTS Unchained χ was released on the 3rd of September one year ago. Several events and campaigns will begin from midnight on the 1st of September (Thursday), so please look forward to it! We hope you continue to enjoy KINGDOM HEARTS Unchained χ, and thank you for supporting us! I think it's likely that the multiplayer quest bosses will be stronger than normal bosses, probably wouldn't be as much fun if one player could single-handedly destroy the enemy. 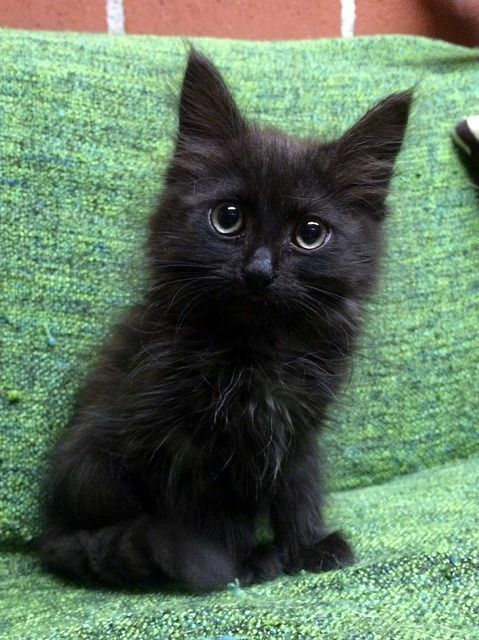 GUS GUS, I WANT GUS GUS. I can't wait to see how season 2 ties into Kingdom Hearts 3! That dialogue by Maleficent left me so intrigued! I wonder what the new world could be? I wonder if it will be a world for KH3 that will be revealed via this game? "Being able to adventure with your friends easily on your smartphone is a matter that had been on my mind about for several years now. Needless to say, the fact that the development staff proposed this plan so early without me even saying anything about it had me whispering "we are connected" in my heart." But anyway, now that we know Ventus was put there on purpose, along with Maleficent being thrown in the mix, something's definitely coming up. My personal bet is that we're gonna run into Ven during his 10 year sleep maybe? Either way I think we're gonna see more realm of sleep shenanigans than before. That multiplayer aspect looks great, can't wait for this to hit NAUX soon! Also, anyone check NAUX twitter recently? sounds like they're adding big updates this week, probably the proud quests? So I got to wait until January in order to beat quest 425. Because teaming up is the only way I will ever beat it. But, thats epic news though! I think it will only apply for certain missions though, not all of them, since Quest 425 seems to be a Solo Story Mission. ACTUAL multi-player!? A NEW DISNEY WORLD!? (please also be in kh3 lol) That Ventus drawing really did mean something!? I honestly just screamed a lot ha. I'm weak. This is too good. Just great. Three new worlds, so Enchanted Dominion, Castle of Dreams and a new one that didn't appear in Kingdom Hearts yet. I'm super excited. A world that has yet to appear you say? Is it Kingdom Hearts itself? A world that has yet to appear you say? And, to go with that work on three new worlds has already begun. The third will be a new world starting from season two, and it will be a new Disney world that has not appeared in the KH series so far. It says a Disney world, so nothing like that ha. Gee I did not expect these news so soon after that cliffhanger with Maleficent. But man am I excited:biggrin: I knew there was a reason for Ven to be on that artwork but how it's going to turn out is beyond me, except that means more character development for Ven:smile:. A new Disney world never introduced before? Could it be Jungle Book or is it a princess focused world? 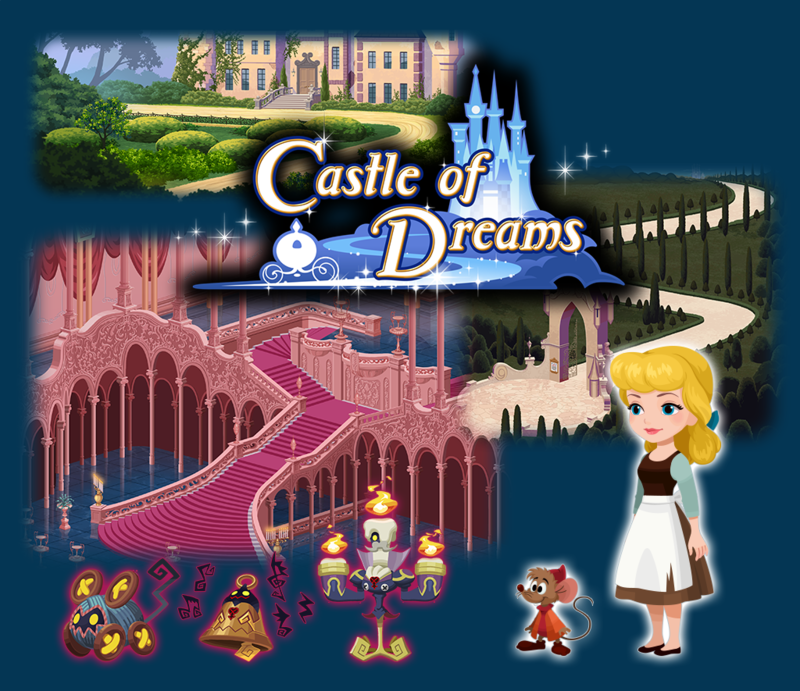 Glad to see that Enchanted Dominion and Castle of Dreams finally showed up in the Chi games. I was wondering about them, as all the other Princess of Heart-related Disney worlds were visited. mmmmhm, I've been thinking the same thing. Praise be to the UX Development Team! Bless you Ito, Nomura, probably Kando too. Definitely on the Jungle Book train. Yeah it was my first thought as well, the recent event definitely contributes to that haha. I honestly feel as though The Jungle Book may be a world that best served to be introduced in Kingdom Hearts III first. Personally, I have a feeling that it's either going to be Pocahontas (going by the Fairytale theme), or, Hawaii from Lilo and Stitch (as Pranksters Paradise was considered a new world despite being from a familiar property). I really wasn't expecting Nomura to comment on the Maleficent part, and definitely not on Ven being on the art, really cool to get confirmation on what most of us were already thinking. Something weird is going on, can't wait to know more! The multiplayer sounds cool, now if I only had friends to play it with lol. Hopefully my party will be active with it! Chi ending made me realize how used to I've gotten to playing UX every day, it's going to feel strange when it ends... It's a completely different KH experience, but I love how involved we all get to be. Really feels like they're making the game for us fans, and it's also the first time I've gotten to interact with so many other KH fans! All in all good job on UX so far. Disagree wholeheartedly on a very subjective level. Not KH3-material at all. The animated film has nothing going for it besides the catchy songs. The CG film is great but not something I imagine they'd put in KH3. There are better films to pursue for KH3 than the Jungle Book. The only thing it has going for it is being the only other jungle themed film Disney has. Pocahontas' story might have been butchered from the events that really occurred in real life, but it certainly does not fall in the realm of fairy tale. Hawaii from Lilo and Stitch (as Pranksters Paradise was considered a new world despite being from a familiar property). I'd like to rather follow the trail of what we've gotten from UX on this, which brings this down to Zootopia and Jungle Book. Even if it would end up be Jungle Book it doesn't haft to mean that they won't include it in KH3. they could easily come up with a different story for Unchained x and then continue like they did with Dwarf Woodlands. There's potential for a Jungle Book world in KH3 with stunning jungle graphics and fun boss battles. I see, so Nomura drawing Ventus in that anniversary art really has some deeper meaning, lol. So both Ven and Maleficent will somehow bring in "new developments" that may tie the whole Unchained/x[chi]-era further to the present day events. As Maleficent went on with her new plan during/after DDD, maybe Ventus' heart being stirred over the course of DDD's story (and the indication that it has been healed up quite a bit by then) also results in him taking some strolls through dreamland, eventually "stumbling" upon the sleeping Daybreak Town/x[chi]-cast and our present Maleficent about to raise hell. Who knows, maybe in "season 2" of Unchained the Player may get Ventus occasionally as a NPC party member? If Tarzan was able to work for the original Kingdom Hearts then I don’t see why the animated version of The Jungle Book can’t work for Kingdom Hearts III. It’s too popular of a Disney property to be exclusive to Unchained X.
Pocahontas does have a lot of fairytale elements such as Grandma Willow and the “spirits” of the forest. I think that’s far more fairytale than Olympus Colosseum. The new Disney world is confirmed for a 2017 release. I can guarantee that there’ll be new medals akin to The Jungle Book and Zootopia by then. The issue is with both those worlds, they’re animal centric. How would a human character work in Zootopia? I’m not ruling out The Jungle Book at all though, rather, if it ends up in the game then it’ll probably be for both Unchained X and III. Pride Lands is inhabited solely by animals and Sora managed... by turning into a lion. I'd looove a Zootopia World tbh! Even more than JB. That's kinda cool. The image is gorgeous, too. You can't call a story based on real life events a fairy tale. That isn't how that works, man. It has fantasy elements, which is either called a historical fantasy or called magical realism. Damn, I forgot that! Tinkerbell/Pixie Hollow too. AHHH ARISTOCATS. I want them all. i wonder how season 2 story going to be played out? Yay, more racist talking mice. My favorite!!!! At least Jacques won't be talking in this game. NAUx will we get this too this month? There is only one appropiate reaction for this possible prospect. Ventus Ux style, he is gonna look so cute!!! Well... Aristocats had humans in it's world too right? (I've never watched the movie, only saw a few trailers when I was little, so maybe I'm wrong) So maybe we will just turn small like when we entered Castle of Dreams. We will probably get something cool during the NA Ux Anniversary. But seriously, Ventus was put on that artwork for a reason... Personally I don't like the Ventus is a Dandelion theory at all, but if it turns out to be true... Well I hope they tie up those lose ends, and they tie them up good. I can't be the only one that thought that picture of the chateau was actually a place in New Orleans before i read it was the castle of dreams,right? Personally I don't like the Ventus is a Dandelion theory at all, but if it turns out to be true... Well I hope they tie up those lose ends, and they tie them up good. That is also only a theory y'know? Ventus doesn't have to be a Dandelion or even from the x[chi]-era at all to play a role in this. Maleficent from the X[chi]-secret episode is also present day-Maleficent (or to be more specific: DDD or post-DDD Maleficent acting on the plans she mentions in both Re: Coded and DDD). DDD not only showed Ventus' heart being stirred inside Sora, it also indicates that the healing process of the heart is very advanced if not even complete, so it would be entirely plausible and possible for present day-Ventus to play a more active role in some capacity as well. The problem-solving principle Occam's Razor tells that "Among competing hypotheses, the one with the fewest assumptions should be selected" , aka looking out for the explanation that is the easiest and requires the least unknown factors to construct. The one detailed above certainly fits the whole thing better than the more sophisticated Dandelion-theory. I actually thought it might be an Aristocats world for a second there, what with Nomura hinting at a new exclusive world and all. I'm really pumped about multiplayer! I thought for sure the browser game would've implemented it long ago since it was an online based game, but better late than never. I've been thinking about other reasons for Ven's involvement in this and... haven't come up with much other than the dandelion theory. Maybe Ven somehow appearing will tie into the idea that all these people are in the Realm of Sleep in some way? Could Ven have stumbled into their realm by mistake? Maybe Maleficent will conjured him up? Well, my apologies for not being so specific there, :P I mean, if there's no legal trouble incorporating Pocahontas then I don't see why it can't be a world. Hercules can be argued to be magical realism as Greek culture does believe in figures such as Hercules, Hades, Zeus etc. so if Hercules can make it as a Kingdom Hearts staple then I don't see why Pocahontas can't. And besides, the storyline of Pocahontas seems more fitting for Unchained X. Governor Ratcliffe seems to be another Gaston like character anyway so it seems all the more fitting to be faithful to the Disney movie. Well, worlds like Lady and The Tramp, Aristocats, Oliver and Company etc. wouldn't really work primarily because those worlds don't have much fantasy elements associated with them, but more importantly, from a technical standpoint, how can the character be customised when they're an animal? But why would that be? I don't think soul's have much to do with this predicament. More like it's impossible for the soul to be involved. Remove the soul from the body, and the person dies. Not sleep, not stasis, just old-fashioned death. Impossible as Ven's soul needs to be still inside his body, otherwise the body would wither away/die. We also know that Ventus' actual spirit/essence is inside Sora just as his heart is as not only did Ventus grant Sora temporary use of his Keyblade Armor in DDD Riku also met a projection of him inside Sora's heart. What is possible though is that he nonetheless somehow stumbled upon/made contact with something or someone belonging to the x[chi]-era via dreaming/entering the Realm of Sleep as strictly spoken when Sora entered the RoS in DDD Ventus entered the RoS too within him. What many of you seem to overread is that Nomura mentioned Ventus and Maleficent in the same paragraph, so I'm actually a little bit baffled that people do not come to the simple solution that when Maleficent is the present-day one it is very possible that Ventus is the present-day one as well. - his heart was confirmed to be stirred while Sora was in the RoS during DDD. - the healing process of the heart is indicated to be pretty far along, which would allow Ventus to act within the Realm of Sleep without many problems, especially since despite his heart healing far he's still asleep. I know it's only a theory, and there are a few others. But the rest was so easily forgotten. Makes me wonder what everyone sees in that Dandelion theory. So we're talking about the Ventus accidently stumbled upon Daybreak Town Theory? I think I will do a bit of brainstorming for some possible explanations. Then I will just throw out those random ideas here. See wich one is the most plausible. I've been thinking that Ventus is the one dreaming of Chi (if Chi and Ux really turn out to be a Sleeping World) and the reason he is dreaming of it is his connection to Sora. And Sora will have inevitably a connection to someone from the Chi era (his heart is the one that connects us all after all). Or Ventus is a descendant from someone in the Chi era and thus got those memories in his heart through family connection. Just some random ideas, I will get some more later probably. Right, now that we know Nomura put him there with a purpose, we also have to look a bit more at his equipment in the art. This makes me wonder, if we are going to see a Ventus from the past, will we see his darkside? Before Xehanort split his heart. Ventus got angry and released a bit of Darkness from his heart, Xehanort happens to see this and decides to make Ventus his pupil. But what would his purpose be within the Realm of Sleep if it's much safer and secure resting inside Sora's heart? what would Ventus be searching for or doing in the Realm of Sleep (especially during the X era) if he is not associated with the X characters in any capacity? "Too benign" is a pretty clear statement that doesn't hint at "getting angry" and "releasing Darkness" at all. Another point made clear in regards to the latter issue is also that Ventus absolutely refused to tap into his existing Darkness no matter how Xehanort tried to manipulate him into doing it, leading to a frustrated Xehanort trying the "live or die" hardhammer approach with the Heartless. The flashback scene even shows Xehanort engaging in his usual manipulative goading speech except that it fails again. For the record: Nothing Xehanort tried to do actually resulted in Ventus succumbing/falling to Darkness. As for the argument that he "must" have a "Vanitas"-side, nope, that's not how it works. There is no "Vanitas"-side because Vanitas as a being didn't exist prior to the Heartsplit and once he was born/brought into existence he was "an empty creature", similar to Roxas. The Vanitas we see and get to (barely, thanks BBS) know is the end result/product of four years of "tutelage" under Master Xehanort and not something that came from Ventus. The issue of it being present day Ven is the hair, that is clearly different in the khx card and I have no idea how he would cut it while inside of Sora. That probably sounds like a pointless argument, but it was the thing that came to my mind when I thought about it. But since time doesn't exist in the Realm of Sleep, I guess it could be any version of Ven, even a pos-KH3 one, though that seems really unlikely. I mean, if there's no legal trouble incorporating Pocahontas then I don't see why it can't be a world. Why would there be legal issues? Pocahontas was an original film made by Disney. Hercules can be argued to be magical realism as Greek culture does believe in figures such as Hercules, Hades, Zeus etc. so if Hercules can make it as a Kingdom Hearts staple then I don't see why Pocahontas can't. No it can't be argued as magical realism because Greek mythology is already "Greek mythology". Hercules, Hades, Zeus didn't exist. They were religious myths. Pocahontas and John Smith existed and were real people with recorded histories, and the Powhatan tribe still exists. Magical realism is when you incorporate magical elements into real life scenarios. Hercules didn't add magical elements into reality. It is based on myths (and Superman tbh). Pocahontas incorporated magical elements into (highly-inaccurate) historical events. I never disagreed to seeing Pocahontas in the series xD I disagreed with your highly incorrect terminology. I'd love to see it in UX or KH3! Honestly I'd want it more in KH3. They could do it like Castle of Dreams did and just shrink the player down to a small size. I do see what you mean, though. I'd still roll over backwards for Aristocats. It's fine to have a personal preference for which worlds they include, we definitely all do. But I think you're writing off animal focused stories for really arbitrary reasons, lol. Pride Lands was just an example of how a human (Sora) interacting with animals was no problem because *magic*. Don't forget, The Jungle Book does have Mowgli, a human, interacting with animals with no problem. The Player being involved in the plot really shouldn't be such a stretch of the imagination in this particular case. And Master Spockanort pointed out Castle of Dreams already, Ven shrunk down and interacted with mice because *magic*. I agree with this, and honestly, X is the perfect place for us to play through worlds that wouldn't translate to the main series. Also, I wholeheartedly agree with Ethy's point about the original movie not having a lot going on for it. There's a reason why it keeps missing the cut: it wouldn't be really fun to play through. It's a fun movie, sure, but what makes a world isn't its standing as a Disney classic, it's the immersion you get by living in the world and having fun in it, and a jungle doesn't seem appealing - especially when we've already done the "lost human raised in the jungle" plot. There's a separation between human and animal in that world that makes it difficult in the main series. That's not to say it won't appear in III, it's just not appealing to me from a level design OR thematic standpoint. I mean his slightly altered appearance feels like it probably is quite important, I don't think Nomura just drew him that way for the lolz. It is the only thing that makes me feel like it isn't straight up current Ventus just traveling to the realm of sleep. It is still possible though for that to be true I'm sure. I honestly have no idea at this time. I dunno if there are any Disney worlds that would not translate well to the main series at all really, I guess I kind of welcome them trying different things myself :P That being said I acknowledge these assessments of the original Jungle Book and definitely agree the new version would be better suited for KH, but I think they could still make the original interesting as well. Disney worlds are at their best when they base themselves loosely on the movie's plot and then add in more "KH-y" elements anyway. could radent garden be our new hub world? And it is also completely possible that the slight difference in hairstyle is nothing but an updated design or Nomura readjusting his drawing style to be less spiky. Sora's "new" hair is also in a different style than before and I doubt that this has any overly important story reason and when looking at Roxas in the First Breath-concert art drawn by Nomura who is in the same angle as Ven in the x[chi] art he has also "less"/shorter spikes. If anything it is Radiant Garden that is missing, Kairi's original homeworld. You know... maybe the reason Ventus is missing his armor is because of the ending of DDD? He gave his armor to Sora, which Riku proceeded to break. Maybe the effort of giving the armor threw him into the main Realm of Sleep? And with his (dream) armor broken he couldn't very well go around wearing it. Well, for one he would be visiting Prankster Paradise. I mean, it can get pretty boring in Sora's Heart, and everyone loves a theme park! Nonononononononononono NO dark Ven, we are not gonna go there. I'm just wondering, a boy so pure and filled with light, how did Master Xehanort pick him as a pupil for Darkness? If anything, Eraqus should have picked him up (if that guy ever traveled from LoD damn it! How did he find Aqua and Terra for that matter). He must have showed his Darkness at some point I guess, maybe to protect some friends I dunno. But how would he end up by Xehanort? Any other ways to see Darkness in someone's heart? Yeah I don't know how to do those loop thiniges. I am not ready to put much thought into Ven's hairstyle. *Like Sephiroth said, it might be Nomura updating his artstyle to fit in more with the new generation of consoles. *It might be that Nomura's artstyle has evolved, as comparing his artstyle from the mid 90'ties to his artstyle today does show considerable differences. Here it might just be that his style evolved more since the last time he drew Ven. We will learn the truth soon enough. That's also a possible viable point as the "dream-version" of Ventus' armor was indeed granted to Sora and then possessed by a Nightmare which Riku then shattered. The armor might still exist (in pieces) but it would certainly remain in Sora's heart as it would not automatically return to Ven. Have you forgotten one of the central points of the light/darkness duality that was stated in the first KH about "the brighter/bigger your light is the bigger the shadow it casts is"? Thus Xehanort could have picked Ventus especially for his pure and filled with light heart because strong light => big shadow/strong darkness. We have also to remember that we do not know exactly when Xehanort found Ventus and how long he learned under MX. By the time of the flashbacks shown four years before BBS proper Ven has to be 10 or 11 years old (going by the premise that he's 14/15 during BBS itself) and as seen he can already summon his Keyblade and it also has already the form it still has in BBS proper: Wayward Wind. As Xehanort states in his report what he could sense in Ventus was immense potential. Potential can be activated and nurtured in different ways though and as stated in the Ansem Reports even the purest hearts can be made to fall to Darkness with enough effort. Children also tend to have vastly more light than darkness in their hearts in general due to innocence etc., Ansem the Wise explained that very good at the end of DDD and Ventus obviously was a child back then. It's also shown with Riku in BBS who as a five year old had such a strong light that it partly overshined even Sora's as it was Riku's light that drew Terra towards Destiny Islands. Furthermore, if a non-Keyblade Wielder like Even could see the contents of a heart (as implied in Ven's story during BBS) I'm pretty sure MX could see it even clearer. Heh, Kairi's grandma being a Dandelion (or possibly the daughter or granddaughter of one) is actually something that one could get behind much easier than a person who's only in their early teens right now. What would that mean for his real armor anyways? It wouldn't be destroyed, but on a certain level it belongs to someone else now. But Ventus is in Sora's heart... so wouldn't the armor be returned to him? Assuming one can be in ones heart and the RoS at the same time. O yes, I was even thinking about that as an explenation but waved it away because it's never really used again in the series. The other characters have alot of Light in them, yet they never talked about their Darkside. I mean, I would have liked it if they used that concept more often, but they didn't (I think it was metioned one more time later in the series) so I figured they just forgot about it. Aaand point taken again, damn your good. Eh, it was more a joke. But if we are going to consider it, I didn't make that theory. Some other people metioned it, but I didn't like the idea of Kairi's grandma being a Dandelion. Huh... I'm seeing a pattern. Hmm... well he still has his physical Armor Plate so that's still his. I guess it does belong to Sora, kinda, but we all saw Keyblade Armors coming for the 7 Guardians so no suprise there (omg, a tiny Mickey Keyblade armor). And personally, I think Yen Sid can forge them (or teach them how to make) some Keyblade Armors anyway, so it would be kinda weird and unnecessary to make it a plot point. Don't let that keep you from theorizing about it though, I reallly dig your deep thinking (is this how I do puns?). I dunno, in the last scene where we see Ven's body smile in Castle Oblivion (indicating that his heart still has a connection to its body since he smiles due to feeling Sora's happiness with the Dream Eaters) his armor pauldron can clearly be seen so I'd wager his "real" armor wasn't affected at all. Being in someone's heart and the RoS at the same time is possible as it was shown to us constantly in DDD with Riku. Riku stands the better chance, having dived into Sora's heart as long as he has. That is because it is not a "Darkside" at all but just a small amount of Darkness that could become an immensely strong force if one willingly unleashed it or if control is lost. When talking with Braig about who really stole Aurora's heart Xehanort specifically mentions that a "powerful light" still lives within Terra, the one who arguably has the strongest darkness out of the BBS-trio. The thing is not that a strong light automatically means there already exists an equally strong darkness, but that there is potential for it to bloom if tempered, and that's exactly what Xehanort always tries when he has set sight on a victim. The whole wooden Keyblade-thingy was post heart-split and trauma thingy. Since Ventus lost nearly all his memories from before the ordeal it is pretty safe to assume that he couldn't summon his Keyblade anymore for a while but that doesn't say anything about the pre-split period. In the flashback with the Heartless he had the Keyblade clearly out and was apparently used to holding it. Joke or not, that it cannot be completely ruled out is the point. She knows quite a bit about it even if it is from a "fairy tale" book. Really? That's not the vibe I got from that scene... I saw it more as, the brighter and stronger your Light gets, so does your Darkness. Your always in balance with each other. I mean, it was supposed to be your shadow after all and the closer Sora got to the Light, the Darker his shadow became. So did I just read the whole scene wrong? Yeah probably. Makes Ventus our youngest known Keyblade Wielder ever right? O my god! How could I've been so oblivious!!! Grandma Kairi has the 6th ToP copy!!! How could I have not seen this!!! What if she entered the book too? And then she became a Dandelion indirectly :O I could get behind that actually. The reason I don't like the is a Dandelion theory is because the Chi era is supposed to be ancient. And then having Dandelions from that era in the current era is just confusing. And looking at the Time Travel business I know Nomura is going to make it overly complicated. That's the metaphysical side of it since it describes the potential power one's Darkness could reach, so you're not entirely reading it wrong. It's the literal amount of light & darkness ratio inside a heart that differs. If it would be literally as you say that strong light automatically means strong darkness, Sora should have been turned into a much stronger and bigger Heartless than a mere puny shadow in KH 1 as his light is undoubtly very strong. Furthermore, having a true "balance" within one's heart is extremely rare if not even impossible to maintain as the amount of each element is always fluctuating inside one's heart. Manipulators like Xehanort try to temper the Darkness inside a heart so it gets dominance, which is theoretically possible even in a heart with 99% light and 1% darkness like Aqua's. In terms of physical age that would be correct of those we have actually seen holding their blade. Sora got his with 14, Riku with 15/16 and Ventus with 10/11. We do not know at which age Aqua and Terra could first summon their blades nor do we know about Eraqus and Xehanort. Chronologically spoken though the youngest known Keyblade Wielders are Xion and Roxas at 1 year of age (even if their blades are "borrowed"). Now that would be a twist, lol. If Kairi's grandma actually has one of the Tomes of Prophecies, possibly even without fully knowing what it can do. It could also be the same copy that Maleficent is using as, y'know, Maleficent once conquered Radiant Garden and she might have found the copy of the book there. The issue of having any characters from the chi-era somehow directly influencing or being present in the current era is confusing and by common logic should be impossible due to the actual Keyblade War being ancient and supposedly being eons in the past. However, the introduction of the Realm of Sleep where time does not flow (practically a place/realm outside of time itself) in DDD and the prospect of sleeping hearts being trapped there (person and/or world hearts) does give the whole scenario a viable explanation within the series' universe's own logic and rules although to most of the audience it may still be a wonky and/or weird concept. That's Nomura for you, if he can make it complicated and/or confusing, he will do it for the sake of being "surprising". That's also why in situations where usual storytelling would insert one plot twist Kingdom Hearts storytelling usually inserts three plot twists for good measure, of which at least one introduces something completely new that while it wasn't heard of yet still manages to fit into one of the vaguely ambigious concepts introduced earlier. @Sephiroth Eh. To play devil's advocate here, just because we saw Ven's armor look okay during the scene after the credits in DDD doesn't mean that it was. Nomura might not have come up with the idea yet. And sometimes Square is lazy when it comes to making new models (like when they didn't make a younger Terra and Aqua models when they were meeting eleven-ish-year-old Ven in BbS). ANYWAY, I would kill for an Aristocats world. Give it to me please, Nomura-san! 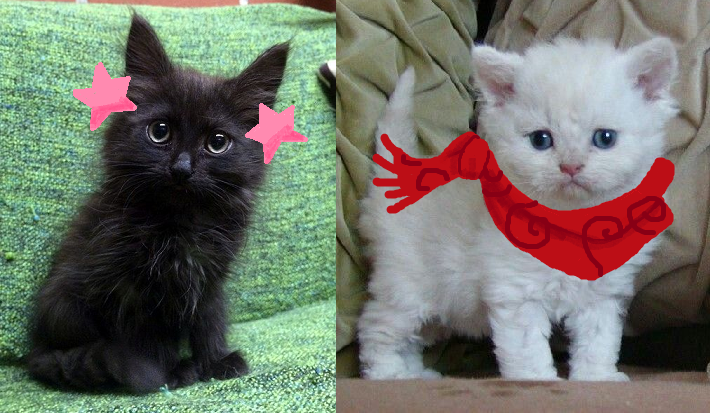 And coincidentally, those "Skuld and Ephemer cats" look like how I imagined Vanitas and Naminé as cats, in a story I just wrote where I tried my hand at personification for the first time. Also, Master Spockanort, you're forgetting that there's one more jungle world that Disney could pull from: George of the Jungle;) LOL. Anyway, all of this is really interesting. And this update from Nomura (coupled with everything else) is probably one of the best KH news days we've had in a while. Yay! If only I wasn't really tired right now, so that I could enjoy it more, though. Edit: And about the Ventus thing, I do think the most logical explanation is that his astral form has wandered over into the Realm of Sleep while he sleeps (and it probably happened when Sora went into the RoS, as Sephiroth said). Heheh, that looks actually pretty good. It is only the pauldron that is shown anyways. If they want to show Ven's real armor being affected by the Nightmare episode inside Sora's heart they could easily have Ven summon it (via the usual Power Rangers "It's morphin time"-pauldron touching like in BBS) only for it to appear with cracks in it. Riku: "Sorry, I kinda cracked your bucket." Ventus: "Nah, it's ok. It did what it was intended to do and bought time for Sora to be rescued. Besides, old fart Xehanort already cracked it as well ten years ago before he turned me into a popsicle for a while, it can be repaired." Lea: "How about changing to a much more comfy and versatile coat that has the same properties as that old clunky armor?" Ventus: "Gee, maybe...but are there any other colors available? Solely black is not really my color and even worse Roxas might think I start to copy him when I wear such a thing." Nomura is a total cat fan so I actually wonder why that movie hasn't been used yet. Its story also has quite some examples for darkness born from jealousy and greed in Edgar, the butler of the Lady who owns the cats which are the main characters. 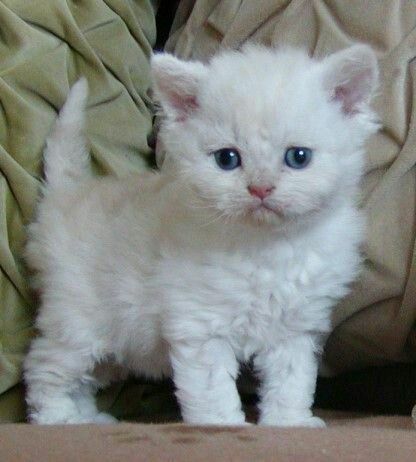 A white cat would indeed be perfect for Naminé, lol. Thank you, I do think that this explanation is the most sound one that doesn't need many further conjecture or round-going assumptions to work. Well I always just assumed that every Heartless started as a Shadow and the more Hearts they collected the stronger they became. Eventually ending up as a Invisible or something. So IF Sora would have nurtured his Darkness and he would have turned into a Heartless at the beginning of the game, would he turn into a Darkside? Does that mean that every Darkside we see had as a human enough Light in itself to be a potential Keyblade Wielder? Lol, White Mushroom Ventus in need of the Gravity Spell. Wich is funny, because he wants a world where Light and Dark live in equilibrium right? True, but they are both unusual cases. Also, I think it's pretty save to say that Eraqus and Xehanort could summon their Keyblade at the age we saw them in the KH 3 trailer. But, how old would you estimate them? That's true, but looking at the scenes where Maleficent talks about the BoP, it seems like she hasn't located it yet. Even though she conquered Hollow Bastion before KH1, and that would be the time she would have found the BoP. After KH1 she was driven out. Sure, she came back in KH2, but I think Aerith and Belle secured the library so she wouldn't find it there. So I highly doubt that she has the copy of Grandma Kairi, if Grandma had a copy. But if SRK is going to need a BoP, I guess they will find it in the now called Radiant Garden. Aerith gives it to Kairi as her "heritage" from her Grandma. Or Kairi visits Radiant Garden, remembers where her Grandma used to live and then finds the BoP. Buuut then there comes another thing to my mind. I've been guessing who has the BoP copies, so that would mean, if I follow this theory, that Yen Sid has one and Kairi has one now. And I'm guessing one is in the LoD, and in the secret trailer Sora visits the LoD (we think), and another member already said it, maybe he went to the LoD to find a copy of the BoP. That would mean that one side has 3 copies. But they need only 1 copy to chase Malficent (if all copies are connected). So why is Yen Sid making them gather all the copies? If you collect all the BoPs, would it have a hidden power? Gotta admit it though, in some way it's quite impressive he can string everything together, even when he comes up with some stuff along the way. Ahh nah man, it's purrfect. *starts reading* So does that mean it's a canon thing? If you reclick the pauldron your armor reappears instantly all repaired? *reads middle part* Eh, I would prefer it if Lea went back to his flashy red outfits. Also, a dialogue between them and how they met at Radiant Garden would be pretty cool. Welp, time to save another princess and NOT GET THANKED! A LumierÃ©-Heartless in Castle of Dreams? Welp, stealth-crossover. The Castle of Dreams looks absolutely adorable. :X Even the heartless. Well technically the World Keyholes aren't closed yet, so Heartless have free passage to travel between worlds right? So for Heartless they are connected. They said the never before used world would be coming in the season two section. I REEEALLY hope these new Heartless designs make it to KHIII. :< Even the KHx Raid Bosses. LOL I find it menacing, but does must be because it has the same boss theme from some KH1 bosses (I forgot the name of that theme). I think it's Destiny's Force, which super-great soundtrack. I'd love to hear it again in KH3. Nope. It's actually the battle theme that plays when you fight the Shadows during Sora's Station of Awakening. It's called Fragment of Sorrow. But yeah, KHIII should reuse some KH classics. Since this is the last game of a saga, I expect it to deliver some throw backs to the first and second KHs. Oh, right. Does that apply for all regular Raid Bosses? I want to hear Squirming Evil again as well. No. I think the Darkside Raid Boss has the theme you mentioned in your previous post. OH, another great track: Shrouding Dark Cloud.